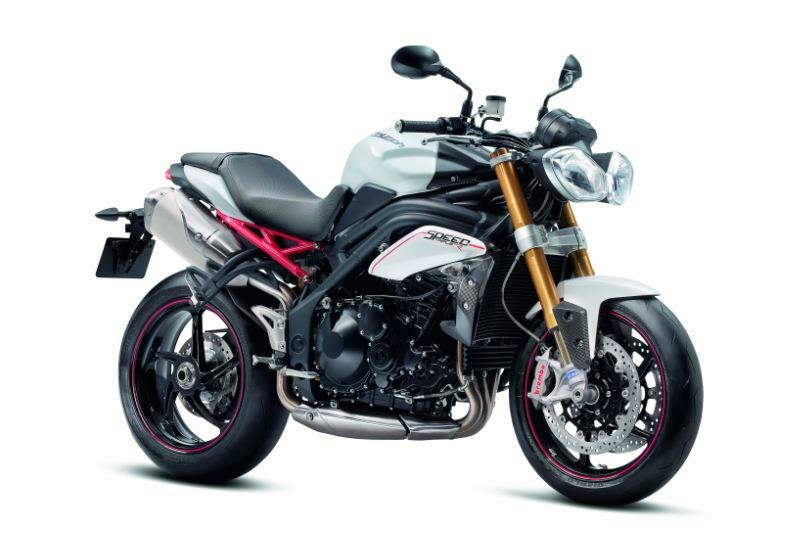 Triumph's best-selling and class-leading super naked, the Speed Triple 1050 has only ever really lacked one thing - a taste of the exotic. 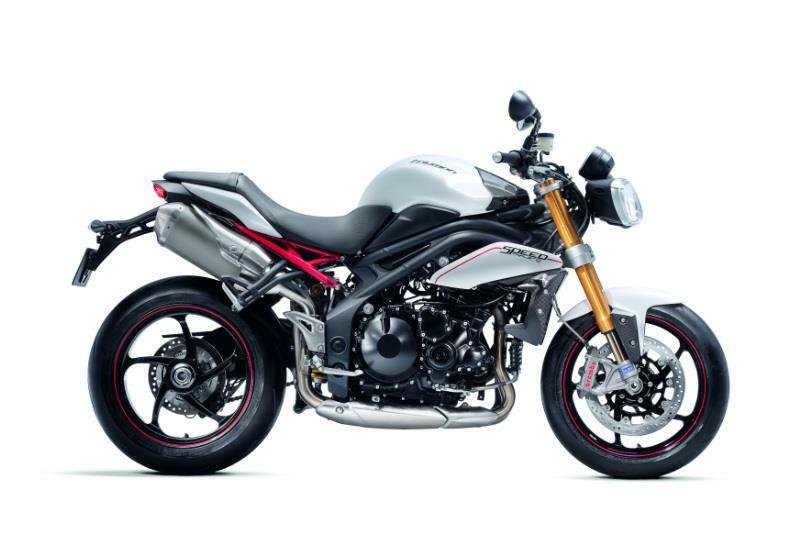 But for 2012 even that's changed with the introduction of this - the brand new Speed Triple R.
The bike, essentially an uprated version of the standard machine, follows the template of previous Triumph R models such as the Street Triple and Daytona 675, by being equipped with a variety of high-spec chassis components. Plus it gets a cosmetic tweak to suit. 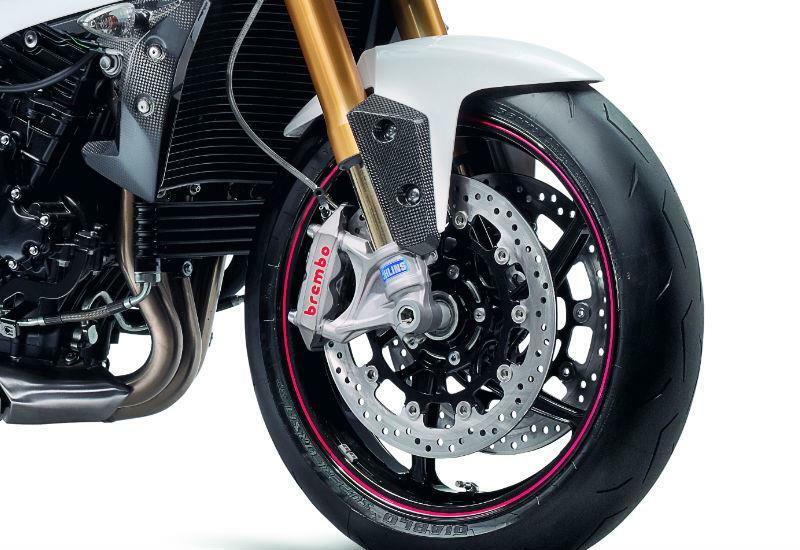 So, the Speed Triple R comes with top-notch, multi-adjustable Ohlins 43mm NIX30 forks, a matching Ohlins TTX 36 shock at the rear plus, to minimise unsprung weight, special lightweight five-spoke forged aluminium PVM wheels which together are 1.7kg lighter than the stock items. 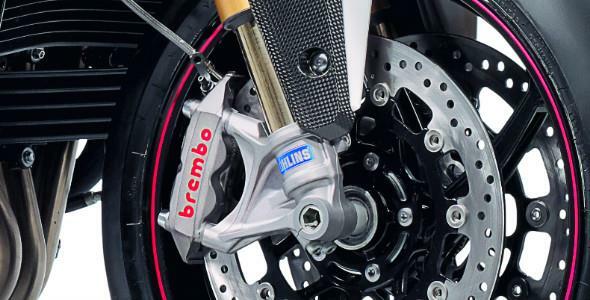 The brakes on the R are uprated too, now comprising race-spec, four-piston radial monobloc calipers from Brembo. Switchable ABS is still available as an option. Together, the uprated brakes and wheels are claimed to offer a 5% increase in stopping performance over the stock version. 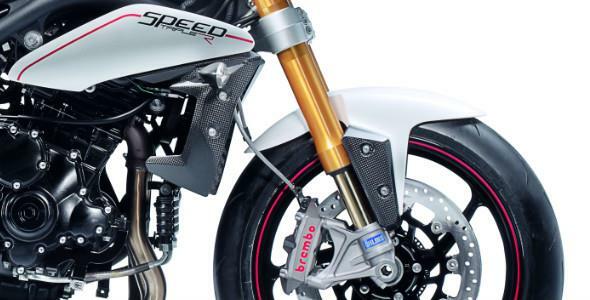 The 2012 R sees the debut of an updated gearbox which is claimed to offer a smoother action. 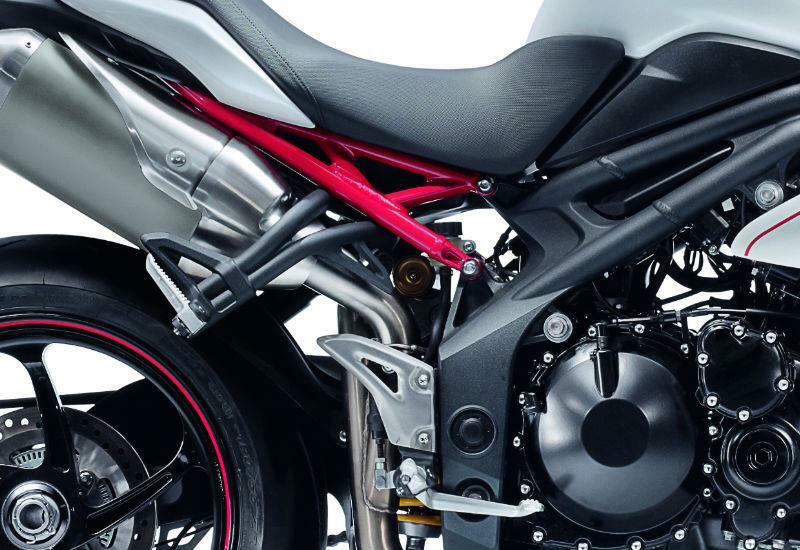 Cosmetically, the R is distinguished from the standard bike by a red finished rear subframe, red wheel rim stripes, a red 'R' logo and is available in Crystal White or Phantom Black. No details on price, but expect a premium of £600-700 over the standard bike, or currently £9399-9499. 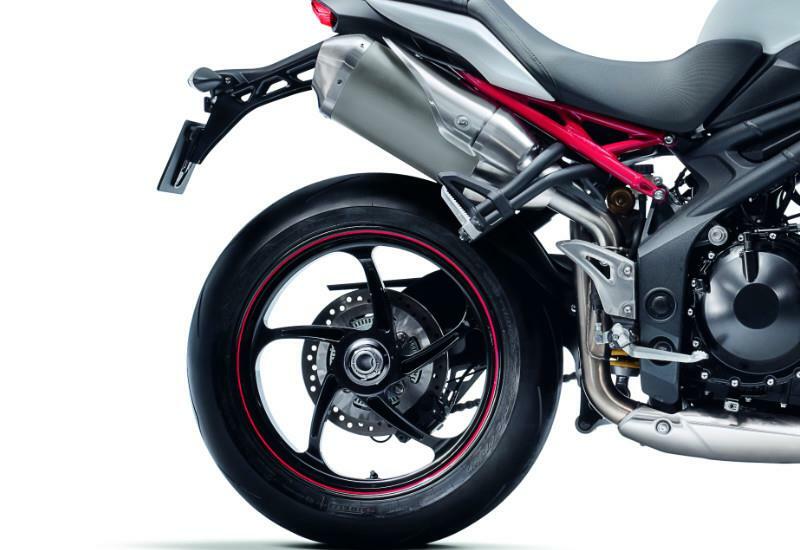 UPDATE: MCN has learnt that because of high quality components such as the wheels, the R's price is more likely to be around £10,000-£10,500. 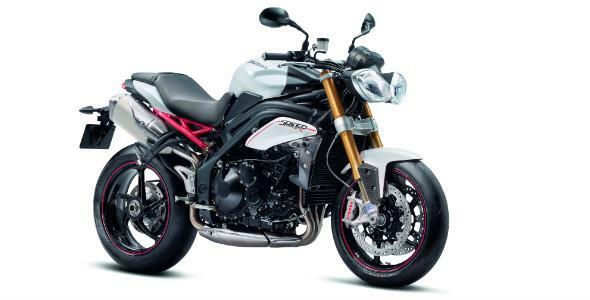 Triumph’s new-for-2012, uprated Speed Triple R is currently being tested by MCN in southern Spain.